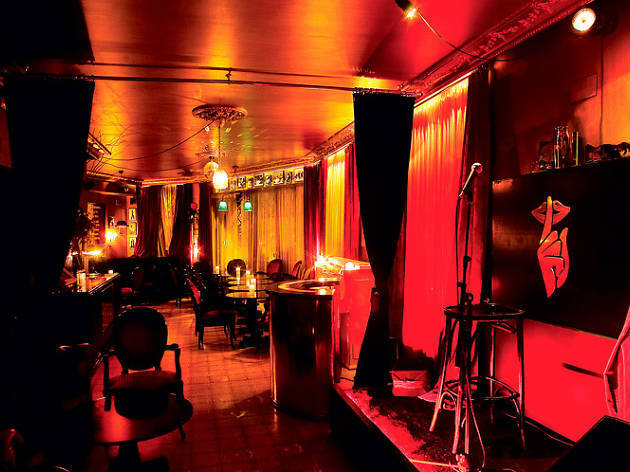 Jazz, charleston, classic cocktail bar and an atmosphere that inevitably transports you to the Happy Twenties, despite the fact you're in the middle of Gràcia. 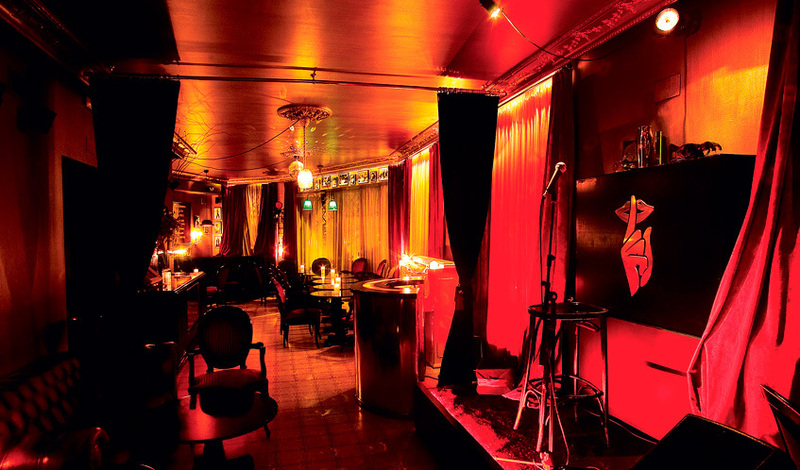 This spot, exuding charm, is an old-style cocktail bar with daring bartenders who are discreet but always at the ready, able to mix magic in every gin and tonic. 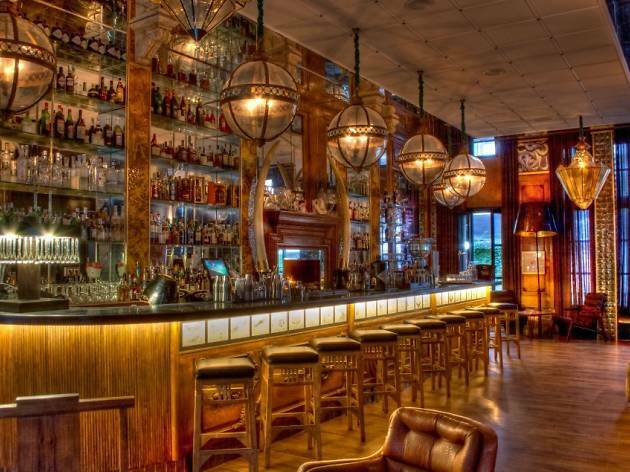 You'll feel like you're in Chicago in the 1920s, with the bonus that you can also get some tapas with your cocktails. Glamour doesn't have to be sacrificed to get great nibbles. 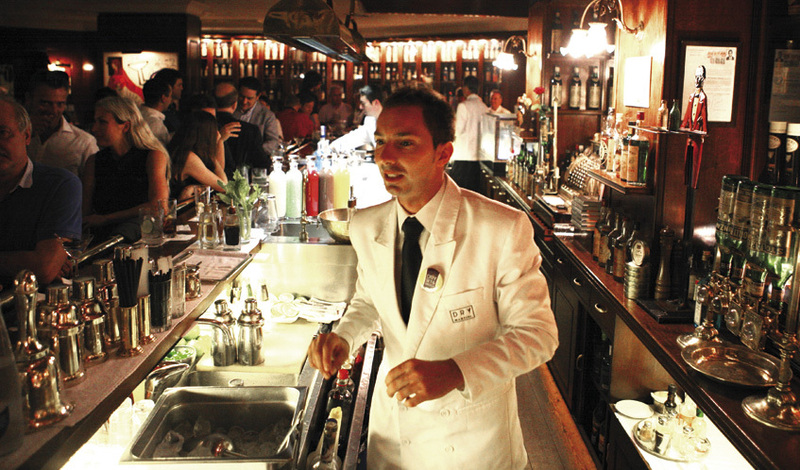 This legendary bar has been recognised internationally as one of the best on the planet, thanks to the hard work and friendliness of barman Javier de las Muelas, a true alchemist of the contemporary cocktail and quite the popular character in Barcelona with his arty craft and entrepreneurial flair. 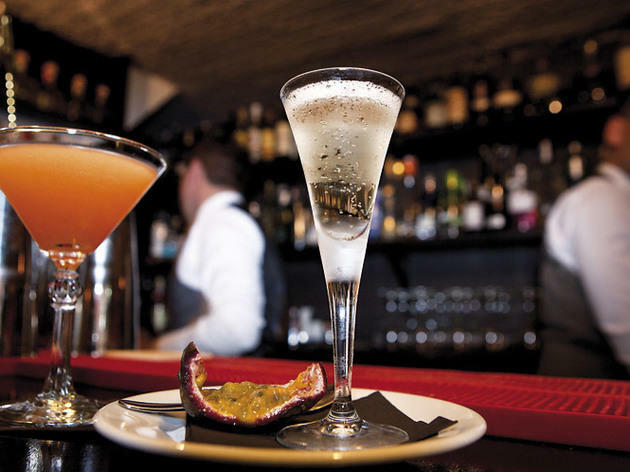 When you sit at a table in Dry Martini, you're part of the current history of Barcelona, you can understand the spirit of the city that bit more, and you get to try some of the world's best cocktails. 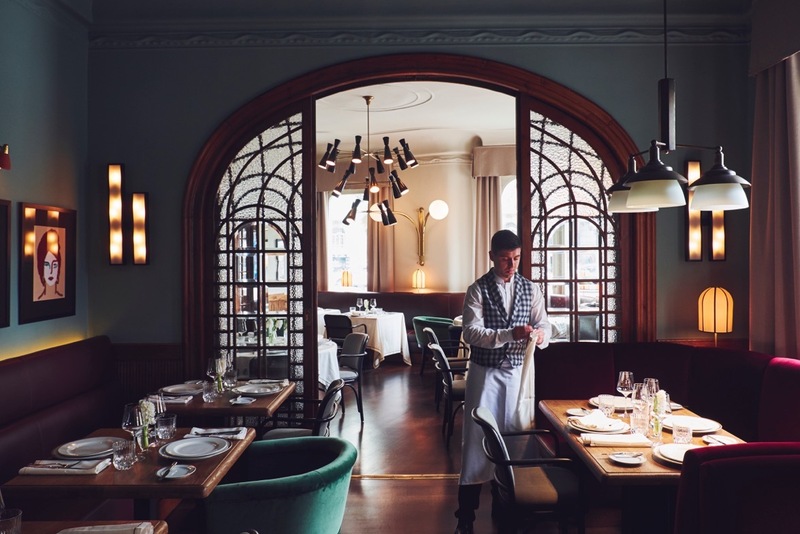 To let you in on a little secret, there's a clandestine restaurant in the back room, but you'll have to find a way to get the password. 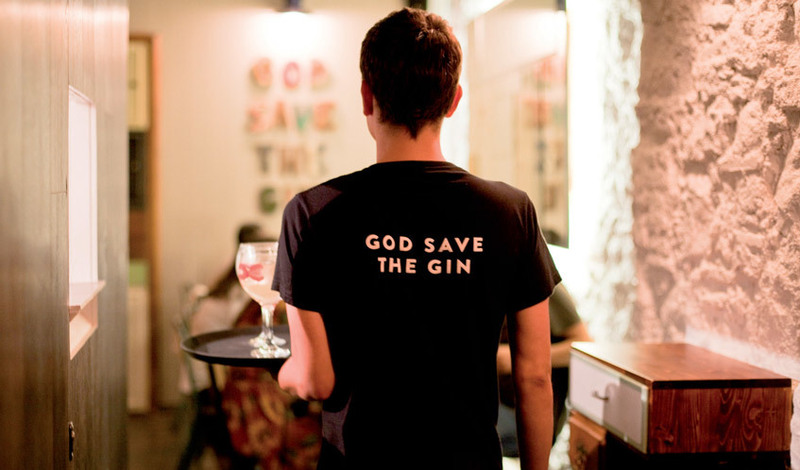 This friendly bar that specialises in gin and tonics is a real paradise for fans of the drink. 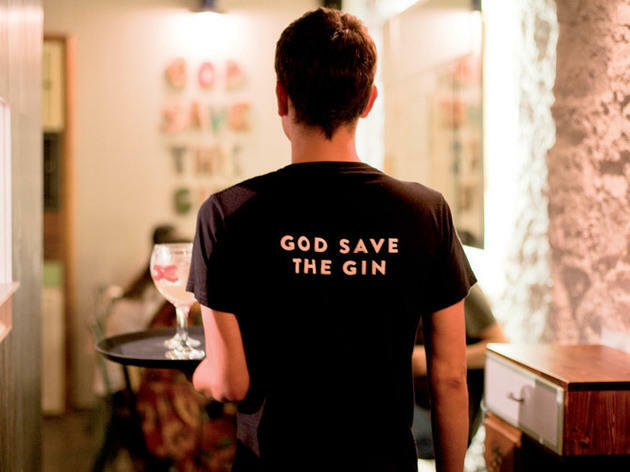 At Bobby Gin they know absolutely everything about G&Ts, including which combinations you like and why just by looking at you, and probably even before you know yourself. Let yourself be spoiled when you put yourself in the hands of the bartenders and try a tailor­made G&T with just the ingredients you crave. Boca Chica is the cocktail bar of Boca Grande, a spectacular restaurant in one of the fanciest little streets in Barcelona, Passatge de la Concepció. 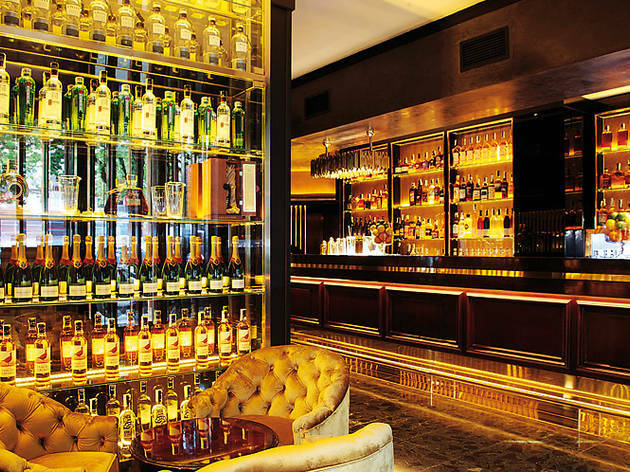 Elegance is the signature at this space that exudes glamour from all sides: this is where the city's beautiful people flock, including star footballers, letting the signature cocktail bar seduce them with its precise combinations, stellar ambience and indisputable style. Passatge de la Concepció, 12. 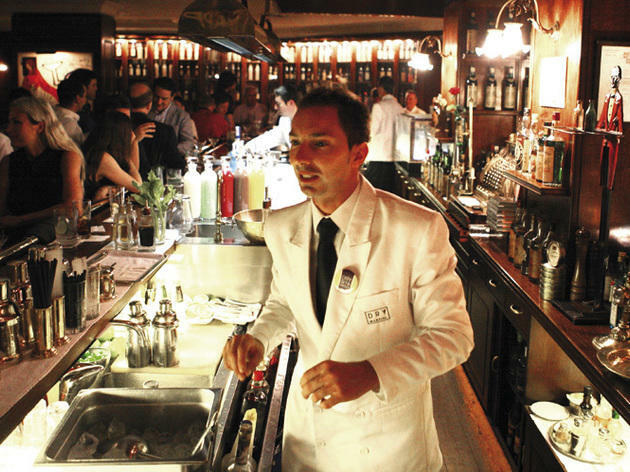 Welcome to one of the best bars in Sant Gervasi, where the cocktails are made with Swiss precision, fearless innovation, creativity, imagination and infinite respect for the raw materials. The interior of this ultra­sophisticated cocktail bar was done by Barcelona designer Lázaro Rosa Violán, and the style is a perfect meeting of cute and industrial. 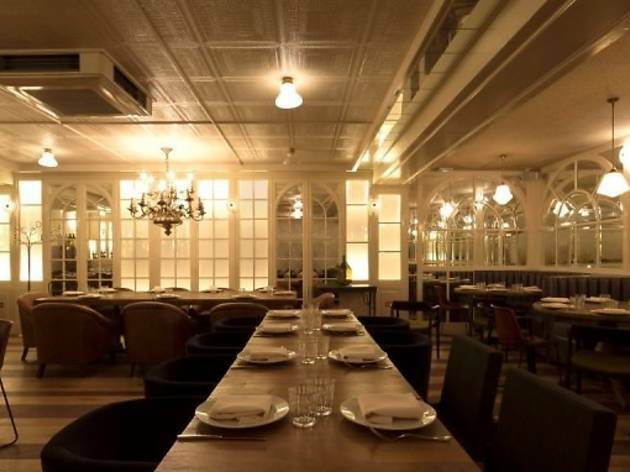 These are ideal surroundings for sharing international tapas that make for great travelling companions for the well­ made cocktails. 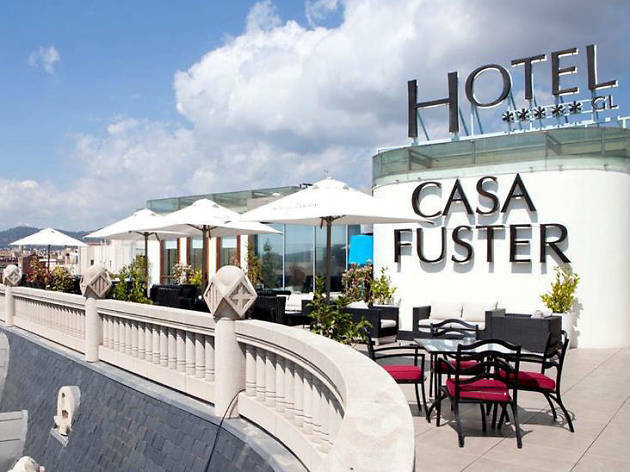 Casa Fuster is a legend in Barcelona's collective imagination because it's where Woody Allen and Soon­Yi stay when they're in town, which just goes to prove the good taste of the filmmaker and his wife. Not to take away from their luxury modernista interior, but their rooftop terrace is one of the loveliest spots in the city, a scrumptious space where you can have a drink with views of the Eixample neighbourhood and even enjoy cultural events they put on from time to time. Mutis is that secret spot that isn't really secret, but it is actually a bit of a secret, which Robert De Niro fell in love with – we don't know if it's true or an urban legend, but they say he's looking for a place in New York to make his own cover version – and which 'Drinks International' magazine hailed has the best bar in the world. What's certain is that even though it's not really a secret anymore, as it was when it opened, it's still where you want to be for out-­of-­this-­world drinks where they treat cocktails with the respect they deserve, and it still boasts the magnetism it had when its doors first opened. 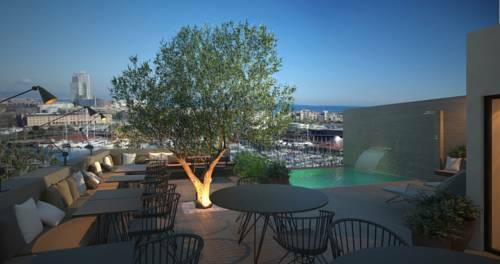 Five stars, breathtaking views of the Mediterranean, and a feel between retro and contemporary that invites you to make a visit to this fantastic rooftop terrace a must. 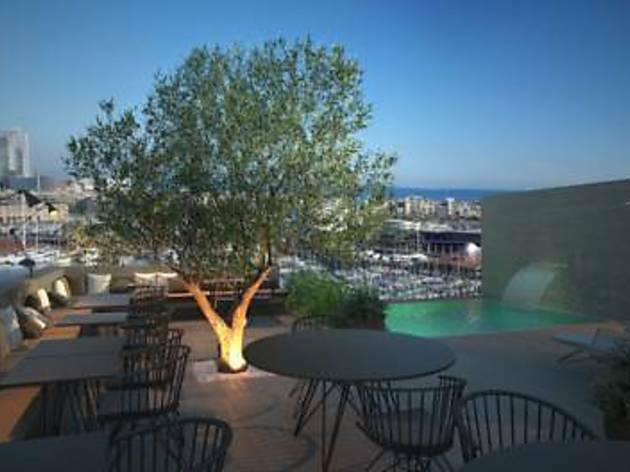 From atop The Serras you can listen to the sound of the sea with a drink in hand while enjoying the sophistication of a five ­star hotel and the views of the rooftops of the Casc Antic. 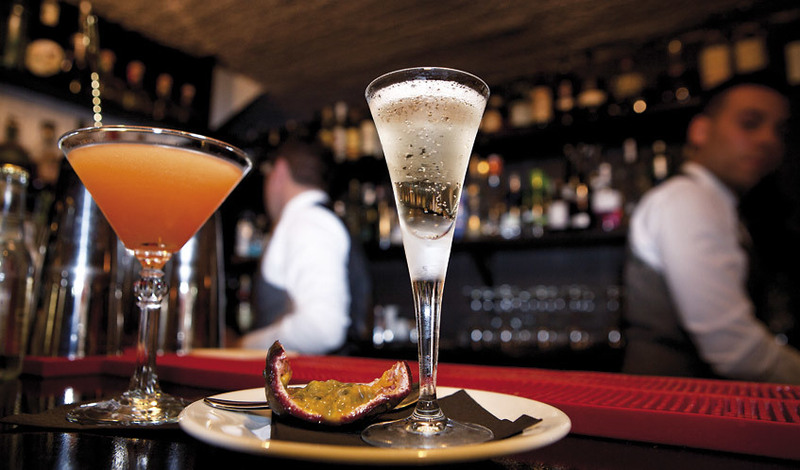 In addition to their great cocktail menu, later in the day you can order from a selection of small dishes to share. 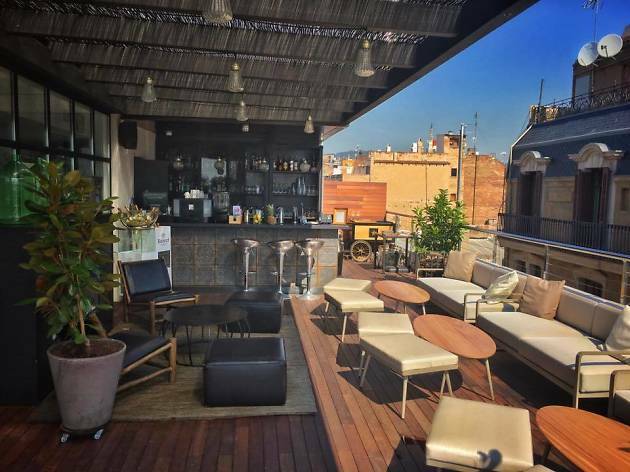 That old Barcelona that watched life go by from its fantastic bay windows in the Eixample had in La Dama one if its main places to get together. Stately, majestic, deliciously old style, this top spot closed its doors only to open them again recently, with a new ambience but the same spirit. 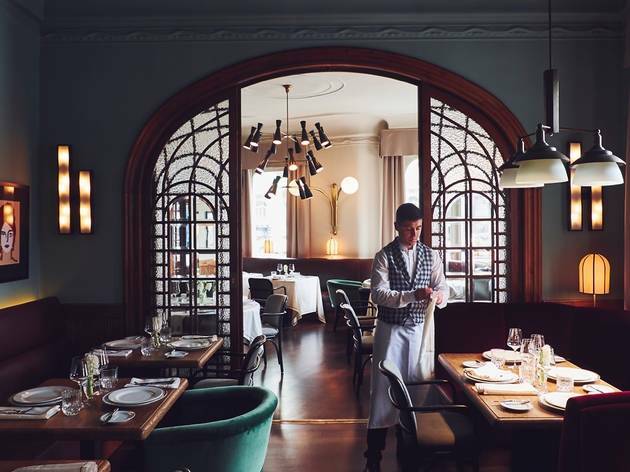 And there's a menu of classic cocktails to sip in an unparalleled setting in the city: a lovely modernista building on the corner of Enric Granados and Diagonal. 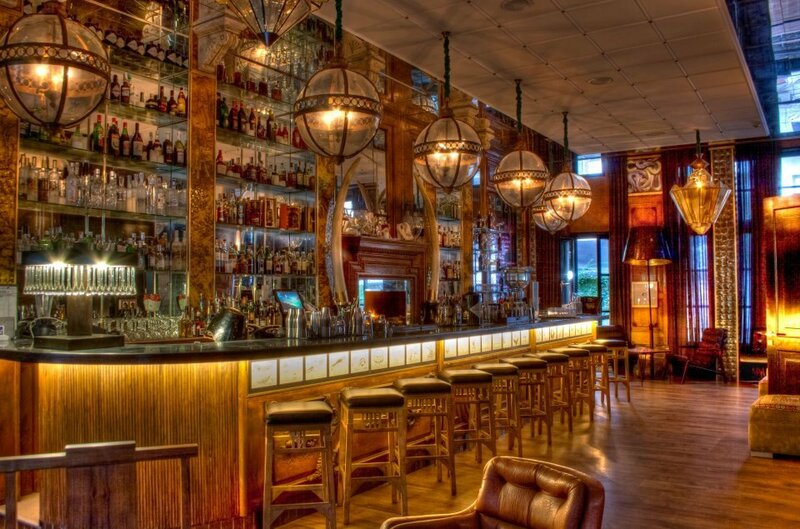 Solange is a project from the Pernía family, true experts when it comes to mixing cocktails and already known as those behind the Tandem Cocktail Bar. 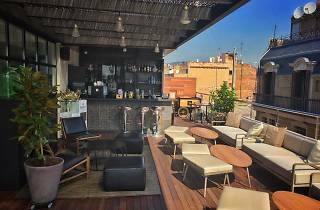 Now they're bringing Barcelona this tasty golden space where you wouldn't be surprised to find Scaramanga drinking an Old Fashioned or Vesper Lynd winking at the bartender after having strangled a spy in the toilets with his bare hands. And, oh the cocktails. They're classic. 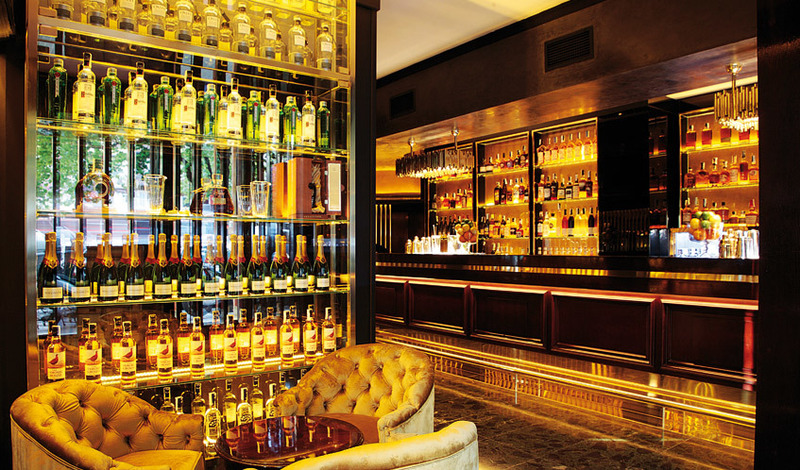 No modern ornaments, no exotic flowers, but made with divine skill that makes this a top cocktail bar in Barcelona.